For $2.99 a month, you can now subscribe to a Kim Kardashian West or Kylie Jenner channel on your smart phone. Four famous Kardashian-Jenner family members launched their own paid apps on Monday in partnership with a media company called Whalerock Industries. The apps are part of what is known as a "direct to consumer strategy" -- selling content directly and individually through an online store instead of being part of a cable TV-style bundle. The Kardashians and Jenners are mainstays of the E! cable channel and will continue to be. But the apps open up a new avenue to make money and make deeper connections with fans. 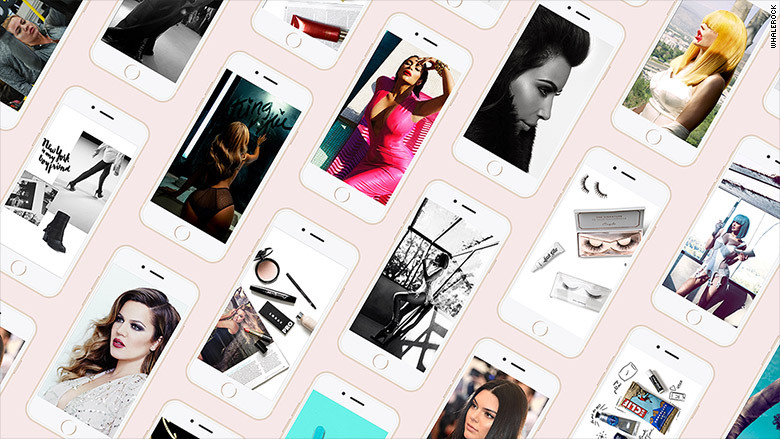 Kim and Khloé Kardashian have apps, and so do Kendall and Kylie Jenner. (So that's $11.96 a month for all four!) Kourtney Kardashian's app is coming soon, according to Whalerock. Whalerock launched a similar app with Tyler, the Creator over the summer. The apps -- and companion web sites -- have videos, diaries, and a variety of lifestyle content (like beauty tips and travel guides). The celebrities "are involved in the content creation on a daily basis," a Whalerock spokeswoman said Monday. Once fans have paid for the apps, there are more ways for the celebs to profit -- through pay-per-view extras and merchandise sales, for example. Whalerock is seeking to sign up other A-listers for similar apps. Kim Kardashian has had quite a bit of success with apps already -- her "Kim Kardashian: Hollywood" game has sold millions of digital copies.